Serving the California Central Valley – Private and public agencies. delivery of infrastructure construction projects. Public and private agencies. Click to view our project experience. American Paving Co. is a general engineering Contractor that has been participating in the growth of Fresno and the Central Valley since 1958. American Paving Co. has acquired the tools and the expertise to efficiently manage and construct a wide variety of infrastructure projects; from small to large and simple to complex. In addition to paving, the company provides earthwork and grading services, constructs minor concrete improvements as well as transportation related structural concrete including bridges, box culverts and retaining walls. Since 1989 American Paving Co. has been a wholly owned subsidiary of Lyles Diversified, Inc.(LDI). We are a proud member of the ENR Top 400 listed Lyles Construction Group (founded in 1945). This relationship provides many advantages that we leverage in order to benefit our clients, including low bond rates, an aggregate bonding capacity of $1,000,000,000 and the professional support provided by Lyles Services Co. with in-house resources for Safety, HR, IT, Accounting and Risk Management. 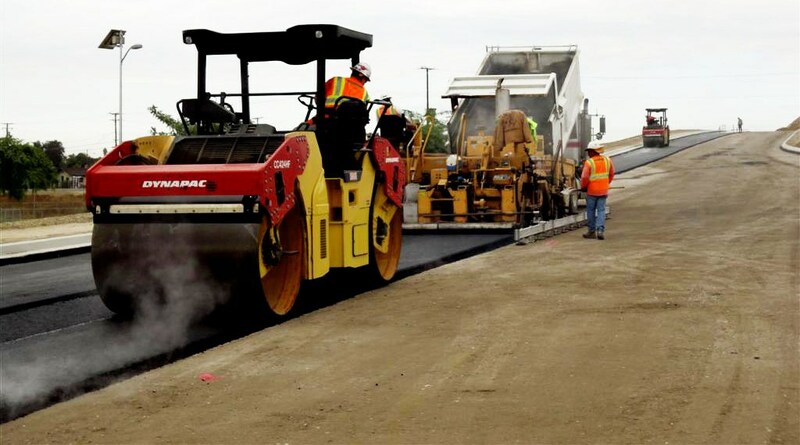 American Paving Co. intends to continue to offer its services to Central Valley clients and public agencies, while always striving to improve its people and their performance. We look for opportunities to demonstrate efficient management, innovative techniques and superior craftsmanship through the safe and dependable delivery of infrastructure construction projects. Read about some of our 2018 American Paving projects. American Paving Co. has the tools and the expertise to efficiently manage and construct a wide variety of infrastructure projects; from small to large and simple to complex.